It has to be said that neither cabinets blow you away in the looks department: there isn't much livery in evidence to create a signature look, so the visual aspect is best described as 'functional'. Both cabinets are rigidly constructed from mahogany and are covered in a durable vinyl, with metal grilles and rugged plastic corners - the dimensions of both cabs permit uniform stacking. 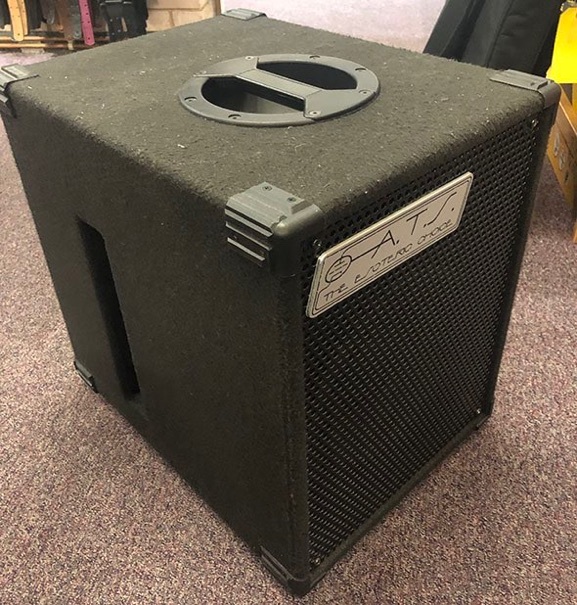 Both models have recessed, top-mounted carry handles for easy transportation and both cabinets are designed to be lightweight while maintaining a full bass response. The 310 model is part of the 'S' range which are heavier units than the 'C' (Serie Light) range - but have no fear, both cabinets are portable and at these weights, you shouldn't be afraid of incurring any back issues. The usual advice about safe carrying of heavy weights still applies, of course. Both cabs are priced at £599 - and for our money, the 310 is the slightly more impressive cabinet due to its extra headroom. 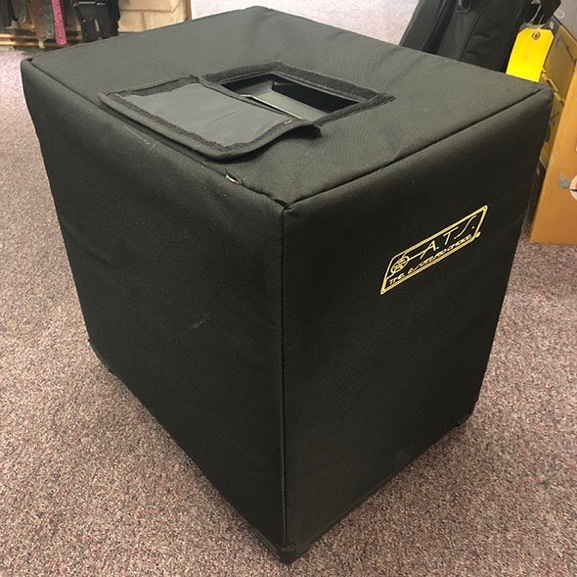 Both cabinets have side ports to ensure maximum performance from the side-positioned passive drivers which respond to pressure within the cabinet: they have also been fitted with two Speakon connections at the rear of each unit. The tweeter control ranges from a -9 dB cut to a boost of +12 dB on both cabinets for extra mid and treble response. With the 310 rated at 500 watts and the 312 rated at 300 watts, there will inevitably be some difference in their performance, but it will be interesting to see how different they sound. A 200-watt difference is a significant amount, especially for enclosures of this size. The laws of physics can't be rewritten - so an inevitable compromise has to be made somewhere. Using several different amps to test these cabinets, we're instantly impressed with the spread of frequencies and the high-quality performance of both cabinets. Taking each cabinet individually, the 310 has a tight, punchy voice but the bottom end display is certainly not lacking. Pushing the cabinet volume-wise with a flat EQ, the 310 is able to handle high volume levels without any discernible break-up of the bass signal. Adding some bass boost to fatten the tone makes the presence of the passive speakers very noticeable: placed in a corner, you might forget how small this cabinet it and that a 10" speaker is doing most of the work. With the tweeter set at -3 dB, and a Jazz Bass in hand, the bass signal was forceful, smooth and well-rounded with no perceived harshness of tone. Increasing the tweeter to +3 dB, a more transparent top end is attainable: using the amp's extra mid response creates more of a 'bark' or growl to the tone. Again, pushing the volume up shows you just how well this cabinet can handle whatever you decide to throw at it. The 312 has a naturally fuller response, due in no small part to the 12" speaker. Using a couple of powerful active basses, their extensive EQ circuitry was conveyed with a slightly more powerful delivery compared to the 310. A pair of the 312 cabinets stacked would be quite a rig with a monstrous sound. With the tweeter turned down, the 312 is a boxier-sounding unit with less natural punch than the 310, although that is to be expected. Turning the tweeter up gives a far more impressive delivery, with all the frequencies able to breathe, producing a much more rounded and fuller display than that of the 310. The 312 is capable of more brute force in conveying your bass sound, but sonically it is somewhat restricted by its 300-watt rating. Bringing the tweeter into play is the icing on the cake, regardless of what type of bass or musical style you choose to play. Both cabs are priced at £599 - and for our money, the 310 is the slightly more impressive cabinet due to its extra headroom. What it loses by having a 10" speaker, it makes up for in power handling. That's not to say that the 312 is blown out of the water: if large power ratings aren't a particular requirement for you, the 312 may sound better to your ears, and for those players that maybe don't require top end punch, the 312 might be a better option.